GRAND GOAVE, Haiti – The mission trip groups pour into Haiti’s Port-au-Prince airport each week, adorned in colorful matching T-shirts identifying their causes. They’ve come to this mountainous island – plagued in recent years by earthquakes, cholera and political unrest – to hand out food, paint houses and even perform eye surgery. They are here to help. But the groups often avoid a crucial component of stimulating the Haitian economy: spending money. Typically, the groups stay within a mission campus, sleep in bunk dorms, eat food they brought and work on their project, rarely venturing out to taste the island nation’s cuisine and explore its culture. Hands and Feet Project directors Andrea and Will McGinniss walk with older boys on their way to school. The two teenagers behind the McGinnisses have moved into transitional homes from the Hands and Feet children’s village in Haiti. It’s an issue that the Franklin-based Hands and Feet Project recognized as its founders looked for ways to help the abandoned children they cared for in the towns of Jacmel and Grand Goave transition to adulthood. The group has overhauled the mission trip model to encourage U.S. visitors to eat at local restaurants, employ Haitians as trip guides, pay for hotel-like accommodations and buy goods made in the communities they visited. The Hands and Feet Project vision is for Haitian teenagers and young adults to take visitors hiking along the green mountain ridges, paddleboarding and snorkeling in the clear ocean water or on day trips to the artist community in Jacmel. Hands and Feet’s Mission Guest Village employs Haitian housekeepers, chefs, gardeners and construction teams, and teenagers and local women weave hats and make bracelets in a downstairs workshop. Farmers work the land, motorcycles drive by on the dirt road and uniformed children walk to school with the glow of a golden sun rising behind them. The guests come to learn, to experience and to take back an awareness of Haiti’s beauty, not just its problems – and they don’t have to go without a hot shower while doing so. The guests stay in a two-story, tin-roofed boutique hotel and retreat center that overlooks, on one side, the Caribbean Sea and, on the other, a rugged mountain ridge. The grounds are landscaped with flowering trees and a handmade stone wall. Local teenagers weave hats for the Haiti Made brand in the Hands and Feet workshop in Grand Goave, Haiti. The project reflects a shift in the way faith-based groups are helping others in developing countries. Instead of focusing on charitable giving and charitable work, they are investing in job creation and economic development, seeing it as a more meaningful way to address the roots of poverty. Some groups, who come with a volunteer mentality, resist adjusting to the organization’s new model. Having a lobster and plantain dinner served to them by locals on the beach, in what is known as the poorest country in the Western hemisphere, can feel uncomfortable for some, said Sean Moore, who leads Hands and Feet Project in Grand Goave. Moore said he emphasizes that buying a meal in Haiti is the same as buying a meal in the U.S. – it’s a mutual exchange providing dignity in place of a handout. Betsy Wall, who runs Wall’s International Guest House in Port-au-Prince, says while she hosts medical teams, adoptive families and tourists, the majority of her guests are mission groups. Some offer short-term fixes in the form of Ibuprofen and Tums donations and peanut butter sandwiches they serve to local children, and they see little of Haiti beyond the mission compound where they work, she said. Wall takes what she calls adventure travelers on excursions to agricultural cooperatives in rural areas to see where investments have been made. A business group she led in March visited a Haitian-led cooperative for which their farming equipment company had funded literacy training. Haiti was once a popular tourist destination, especially in the 1950s. Bill and Hillary Clinton honeymooned there in 1975, and Club Med operated a resort off its western coast in the 1980s. As political instability and fear surrounding AIDS took hold in the same decade, vacationers seeking white sand beaches turned to neighboring Caribbean countries, and Haiti’s momentum halted. In 2014 alone, foreign visitors poured $5.6 billion into the neighboring Dominican Republic and $2.3 billion into nearby Jamaica, dwarfing the $578 million flowing to Haiti’s tourism sector. 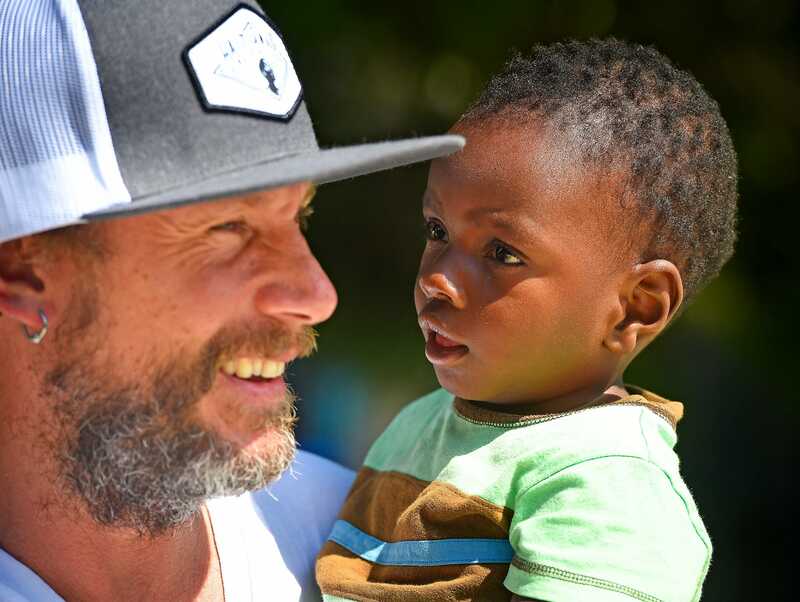 Marvins, who is almost 2 years-old, rests in the arms of Hands and Feet Project co-founder Will McGinniss at the organization’s children’s home in Grand Goave, Haiti. While safety is a concern for travelers in Haiti, the same could be said for those visiting any developing country. Haiti’s Ministry of Tourism has sought to expand the country’s travel infrastructure to attract more visitors. In Port-au-Prince, three new luxury hotels have emerged in recent years and existing hotels have poured large sums of investment money into expansions. In 2015 Royal Club DeCameron Indigo Beach Resort opened at the former Club Med site. The investment is paying off, according to ministry spokesman Samuel Dameus. At least 500,000 visitors came to Haiti in 2015, a significant increase from previous years. The World Bank reported 349,000 visitors in 2012 and as few as 96,000 in 2004. Volunteering is the top reason for trips, with missionary work second, according to a 2013 Igarapé Institute report. Officials would like to see the sector expand its scope and its spending, Dameus said. 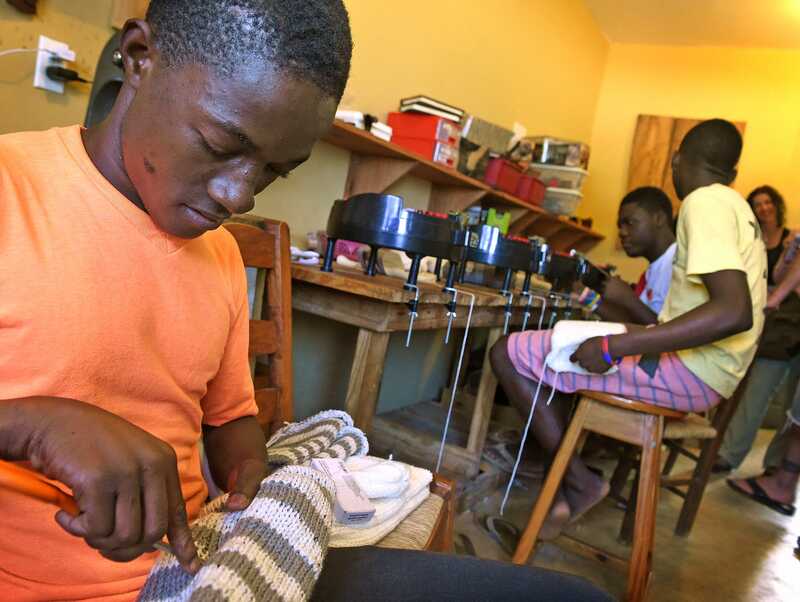 For Joel Rezil, a 17-year-old who is transitioning out of the Hands and Feet Project children’s home, the new guest experience translates to additional income opportunities that he hopes will help him continue his education in economics. While some of his peers will take groups to the beach, he wants to share the area’s history with guests. “When they leave Haiti and then go to the churches and anywhere else to talk about Haiti, more tourists will come to Haiti, and Haiti will be better,” he said. The Hands and Feet Project directors want to expand their operations and double employment to 300 jobs. With members of their Haitian staff supporting several family members in the Grand Goave and Jacmel communities, the impact is significant. Audio Adrenaline Takes Home 2 We Love Music Awards!